When it comes to European travel, Americans are a predictable bunch. Instead of exploring the lesser-trodden deep cuts that promise untold natural beauty, you're probably just going to board a discount flight to a major European capital (which is totally fine!). So in case you don't mind bumping elbows with your compatriots on foreign soil, insurance firm Allianz Global Assistance compiled a list of the most popular European cities that American travelers are visiting this summer. 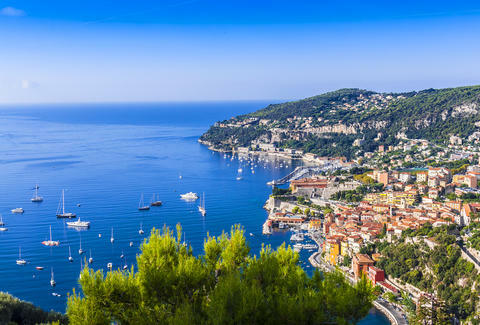 Looking at trips booked from the US to Europe between the Memorial Day and Labor Day weekends, the data paints a pretty familiar picture, rife with all the imagery of winding cobblestone streets and sunny afternoons spent swilling sangria or rosé. London, England is the pick of the litter, claiming the top stop in this year's data. This isn't surprising because it's sometimes hard to be the sheepish, monolingual American in a place like the Basque Country. Paris came in second, but a newcomer managed to sneak into third place: Reykjavik, Iceland, with it's proximity to perhaps the most mystical vistas in Europe and a landscape basically culled from Game of Thrones, is fast becoming a favorite. (Plus, it's cheap as hell to get to these days). If this serves as any kind of Euro-trip instruction manual, it might be the one with the most college football fans involved. But then again, there'll always be hidden gems adjacent to the big cities that you should always consider.